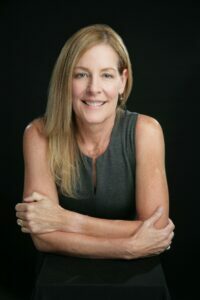 Through body awareness techniques, education on self-care, cognitive belief patterns, lifestyle choices, nutrition, movement, and exercise, Kelly focuses on the multifaceted, multilayered components that lead to greater health and wellness. Her primary goal is to empower her clients to learn and practice a balanced lifestyle that supports health and well being. As an Occupational Therapist, Certified Hand therapist, Structural Medicine Specialist, and Bowen Practitioner, Kelly uses her skills as a manual therapist and ergonomist to address the postural components that can contribute to pain and dysfunction. Along with treating the structural issues that may be present, Kelly also assesses ergonomics, stress, thought patterns and nutritional factors, and their impact on the body’s regulatory systems.Kelly is a graduate of Colorado State University’s school of Occupational Therapy and has sub-specialty training in the upper extremity and is a board certified hand therapist. Kelly completed her Bowenwork training through the American Bowen Academy, and is currently an international Bowen Instructor. She is a graduate of the Institute of Structural Medicine and is a board certified Structural Integrator and Massage Therapist. She is a graduate of the Institute for Integrative Nutrition and is a Holistic Health Counselor. She is on clinical faculty with the University of Washington’s rehabilitation department. She is the founder of the Seattle Center for Structural Medicine, which houses multi-disciplinary holistic practitioners who practice whole mind/body strategies to rehabilitate their clients back to optimal health. She is the owner of the Northwest School of Structural Therapy and has developed the Tensegrity Medicine™ methodology. She teaches nationally and internationally lecturing on topics related to Tensegrity, Fascia and therapeutic assessment and treatment strategies.